The National Talent Search Stage-II Examination result has been declared by NCERT, Delhi on 18th Sept 2018. The Stage II examination was conducted on 13th May 2018 (Sunday). 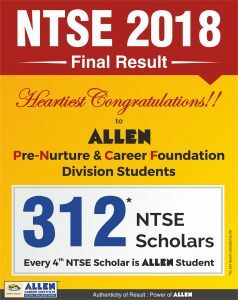 Students of ALLEN Career Institute have once again proved their excellence in NTSE final result. The Provisional Result was declared on 29-30 August 2018 on the NCERT Website. Along with the result of individual students, NCERT has given Cut Off scores for NTSE Stage II examination. Director of ALLEN Career Institute, Sh. 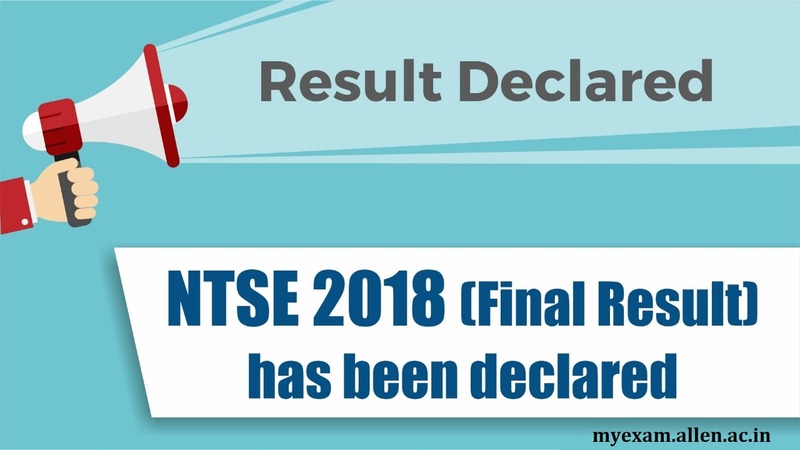 Naveen Maheshwari said that 1027 students from all over the country have qualified NTSE Stage-II as per result declared by NCERT. 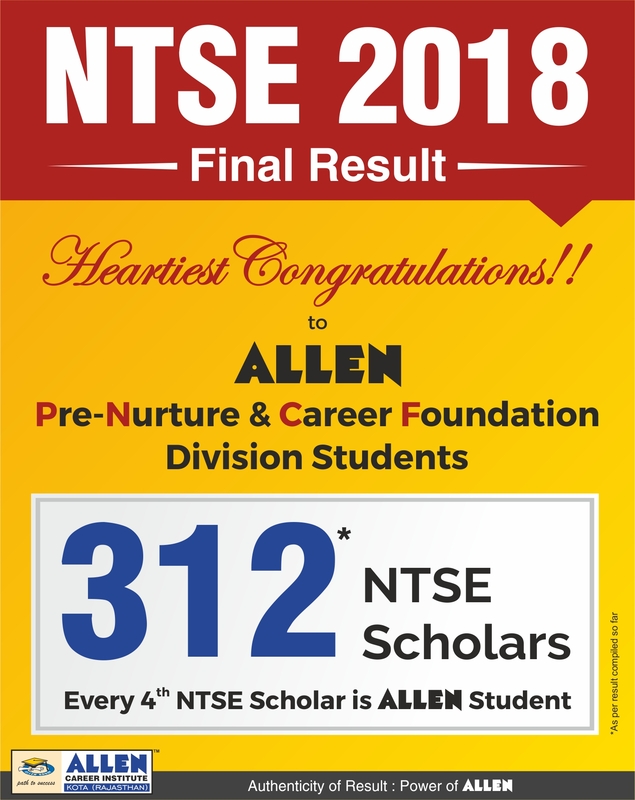 312 students of ALLEN Career Institute have qualified National Talent Search Stage-II Examination. This includes 158 students of classroom coaching, 115 students of the workshop and 39 students of Distance Learning programme. Sh. 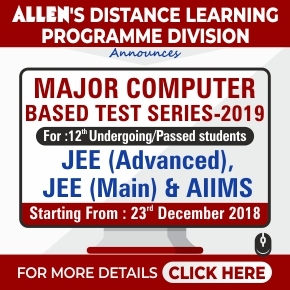 Naveen Maheshwari further added that the National Talent Search Examination is conducted for students studying at the Class X level. The examination consists of tests, namely Mental Ability Test (MAT) and Scholastic Aptitude Test (SAT). 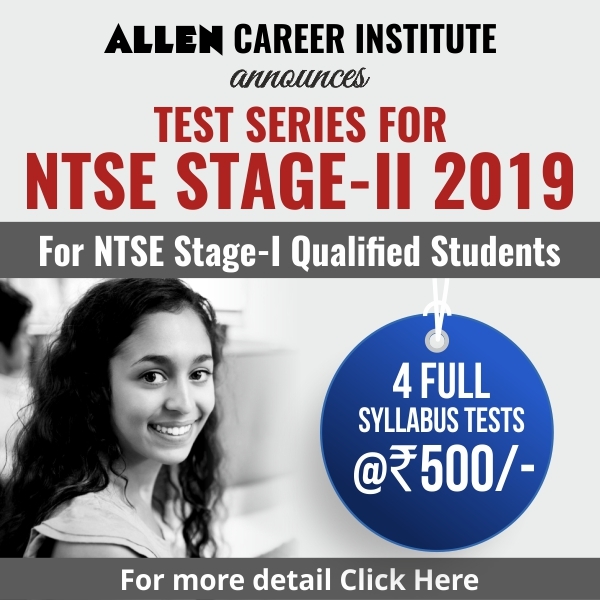 The students who have qualified the final stage will get Rs. 1250 per Month scholarship in 11th and 12th standard. Rs. 2000 per Month scholarship will be given to the students of Under Graduation & Post Graduation and scholarship for PhD students will be as per UGC Norms.